Some tots are just born dancers—turn on the music and they are shaking it along with the best of them in the middle of the dance floor. 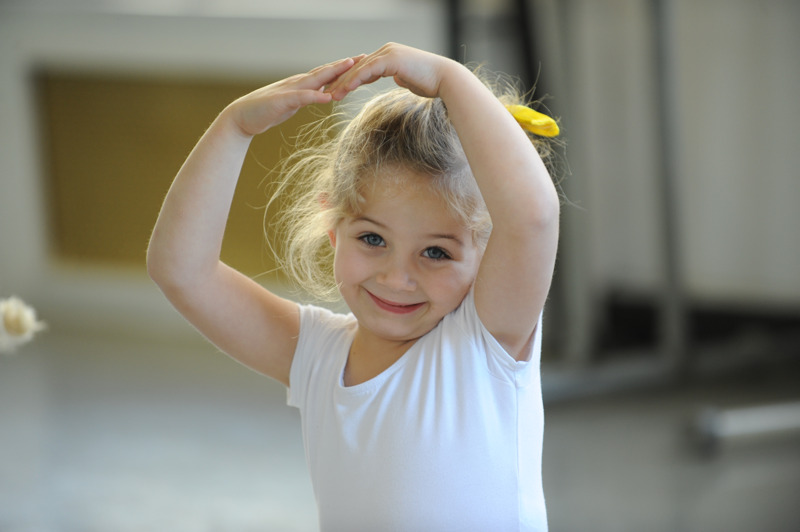 Let them polish those smooth skills at any of these dance classes for kids. Whether they (or you) are nurturing ballet dreams, want to tap to their heart’s content or dance to the beat of an African drum, there’s a class made just for them. 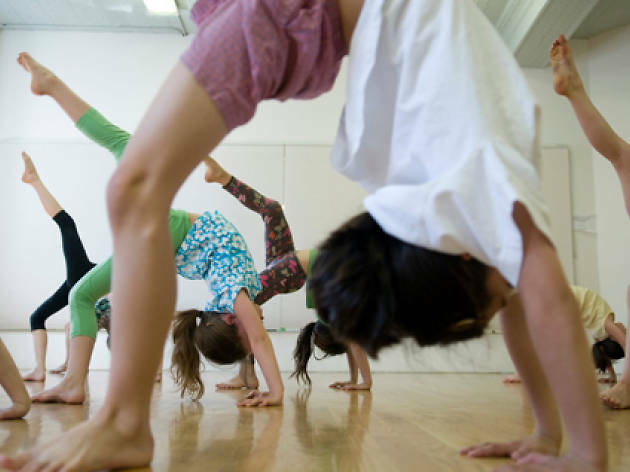 Once the kiddos have mastered their dance form of choice at these amazing dance classes, nurture their love of learning by signing them for New York’s best classes for kids or music classes for kids. No auditions are necessary for introductory classes at the junior division of this nationally renowned dance company, including First Steps (for kids ages three to six) and Bounding Boys (for boys ages four to six). Fun exercises help little ones learn fundamental skills like muscle memory and rhythm awareness while encouraging creative movement. Kids seven and up wishing to continue their dance studies can audition for more advanced classes in late summer. Ages 3 and up. Start newbie tappers off in Tap Fundamentals where they’ll learn basic steps and how to string them together to improvise their own combinations. They’ll also explore the history of the dance step and watch videos of tap’s greatest performers. Once they have the fundamentals down, kids can move on to more complex classes like Hoofers and Hitters and Shim Sham Crew where they’ll learn elements of early dances as well as contemporary forms. Ages 3½ and up. 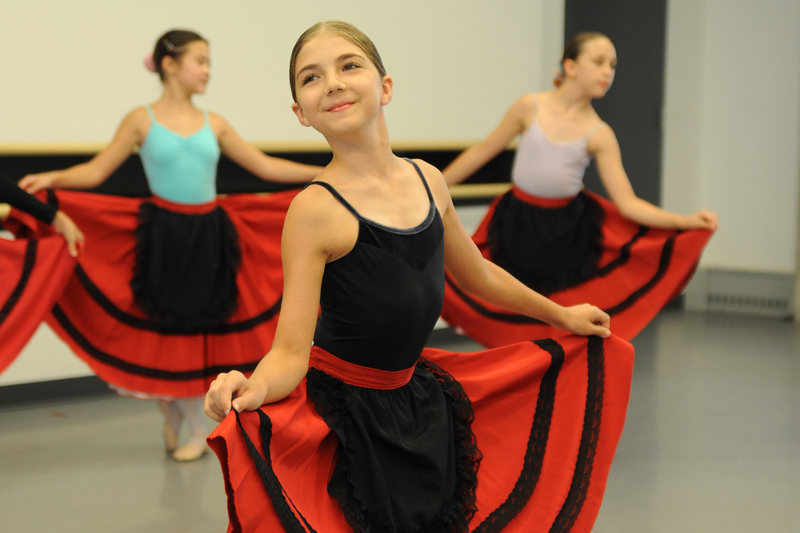 Kids will learn the dramatic art of flamenco along with other dances. 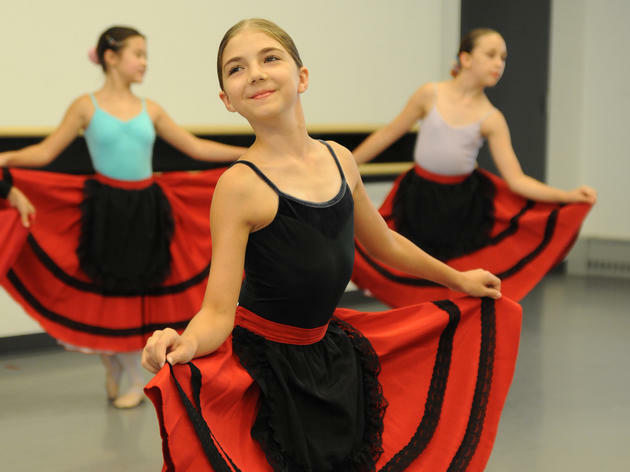 The Spanish dance program offers up classes in ballet, jazz, hip-hop, salsa and tap that will have little ones moving to the beat. The Los Pasitos: Early Childhood Program is great introduction to coordination and movement for the tiniest dancers aged 2 to 5. Older kids aged 6 to 18 can sign up for Encuentros: Open Class Program, which will cover various dance traditions. 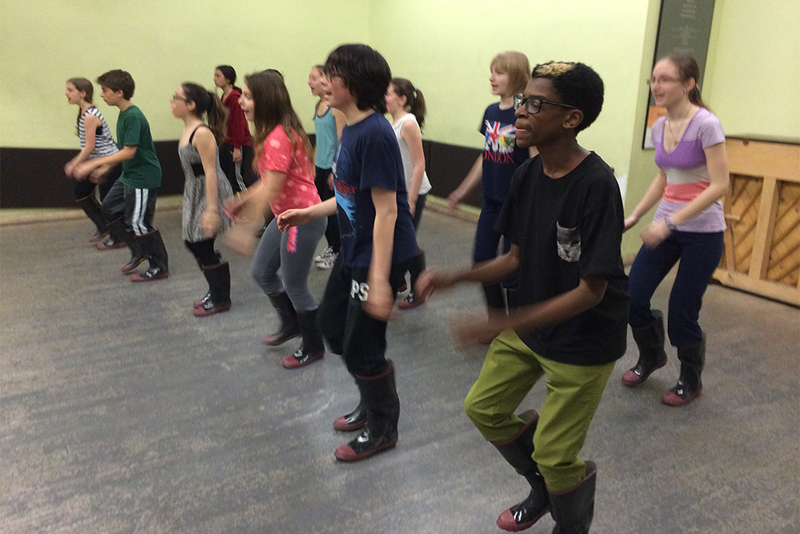 Cool factor: all classes include a brief history lesson on the dance form. Ages 2 and up. All young swan princesses start in the Young Dancers Division, which is divided up into several programs, including Petit Dancers classes for toddlers and their caregivers and pre-ballet and tap for students aged 3 to 6. Some go on to the intensive preprofessional program (ages 7 to 19), where they'll study pointe, partner work and variations. Others continue to plié for fun in the primary and enrichment sessions (ages 6 to 12). Ages 18 months and up. This year-long, multi-level program includes classes in all forms of dance, from introductory creative movement for little ones to ballet, jazz, hip-hop, musical theater dance and contemporary. There are even classes that focus specifically on jumping and turning. The Children & Teen Program includes a year-end recital in a city theater. Dancers aged 10 to 18 can be considered for the Professional Track. Mini workshops are also available for kids (and parents) who want a shorter-term commitment. Ages 3 and up. 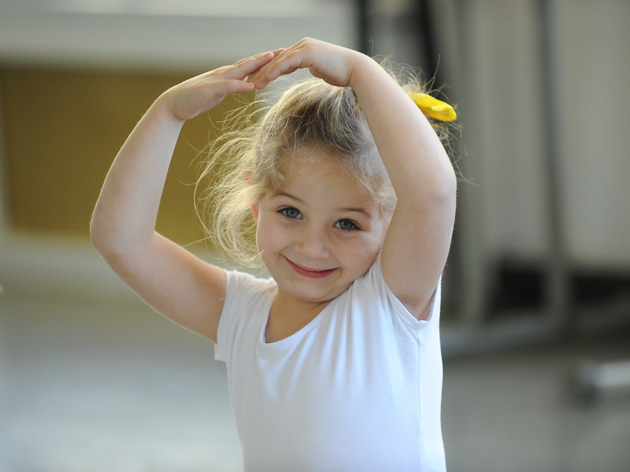 The School at Steps' Young Dancers Program classes begin on January 29, 2018 for children ages 18 months–5 years! During these engaging sessions, kids can immerse themselves in the exciting world of dance and music. They'll learn more about body coordination, rhythmic awareness and imaginative exploration with the help of their instructors, and every class has a live musician. Don't miss “Mommy and me” classes for students 18 months–2 years as well as "Pre-Tap" and “For Boys Only" classes. Various ages. Dance, theater and tumbling classes are available at affordable prices at this Brooklyn arts center. Offerings range from the toddler-centric Move and Groove to modern dance, ballet and hip-hop for tweens. More advanced dancers (aged 9 to 18) may be invited to participate in Dance Performance Workshops, in which they'll deepen their study of dance technique and work on original choreography. Ages 18 months and up. This Brooklyn dance studio offers too many dance classes for us to count. 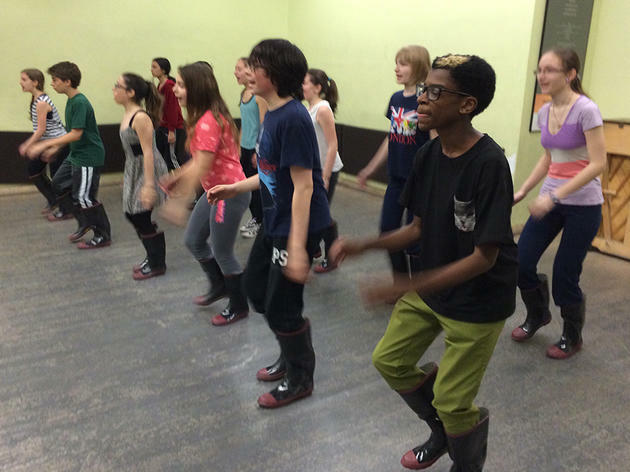 One of their most unique, though, is Broadway Stars, where the students learn to sing, dance and act simultaneously. The school also offers creative movement for beginner dancers, plus hip-hop, modern, ballet and contemporary. Ages 18 months to 18. 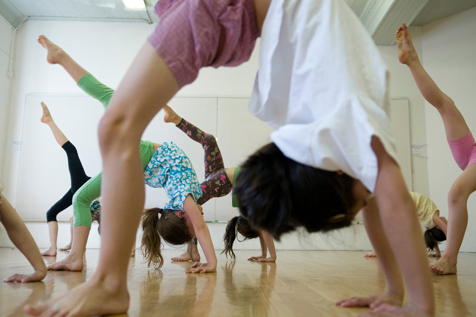 This Tribeca dance studio, created by two NYC moms, offers classes and parties for kids as young as 2 years. Little ones (accompanied by their caregivers) can get a taste of several dance styles, including jazz and ballet, in Tututots. The packed schedule also features lyrical, street hip-hop and tap courses, and a special breakdancing program just for boys. Ages 2 and up. 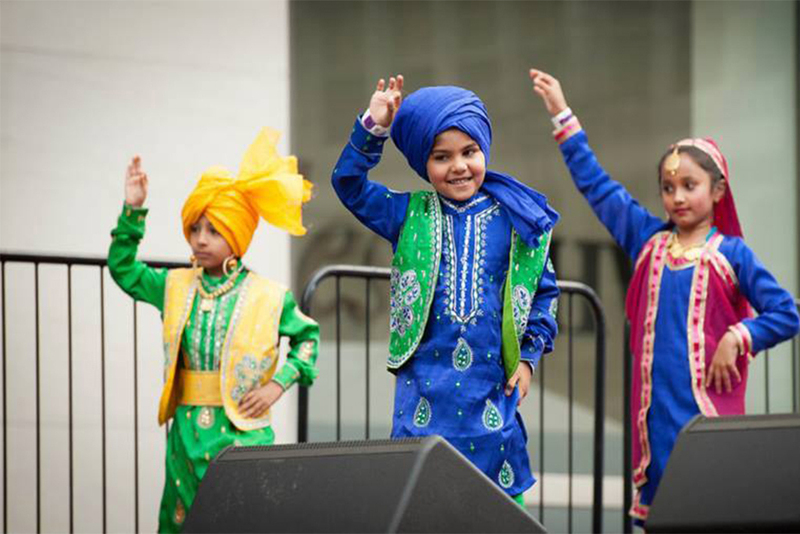 If Bollywood’s infectious music gets your kids out on the floor, then why not sign them up for a cool bhangra class? 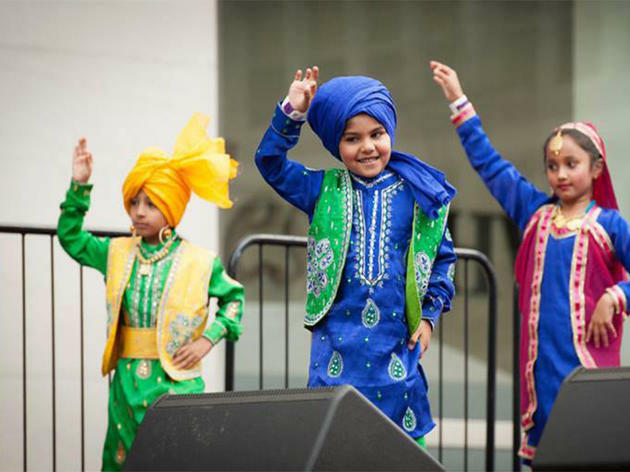 Youngsters will learn how to follow the techniques, rhythms and steps that make this Indian dance form fun for all ages. The clapping, jumping and colorful costume makes this perfect for kiddos with energy to spare. Ages 2–9.